Lupin wa Ima mo Moete Iru ka? 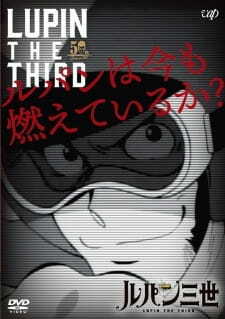 was released as a premium first-come-first-served DVD bundled with the first Blu-ray and DVD volume of Lupin III: Part 5. It is being released in the US on iTunes, Google Play, and Amazon Digital on November 18, 2018. In the 50 years of Lupin Sansei, he has only gotten better and better. This Special was brilliant and an amazing callback to lupin of old. Now I'm currently writing this having watched Part 5 and I can tell that this was definitely a precursor to the new groove that Lupin has flowed in recent times. Even if this special falls under part 4 it feels like 5's fresh take. Now don't get me wrong Lupin III is an amazing series with a great cat and mouse dynamic(ala Zenigata and Lupin) and brimming ideas of many people who have contributed to the series but this special is HEAVY fanservice so be warned to a bit of confusion but other than that I hope you enjoy it. Any information what is it supposed to be about?